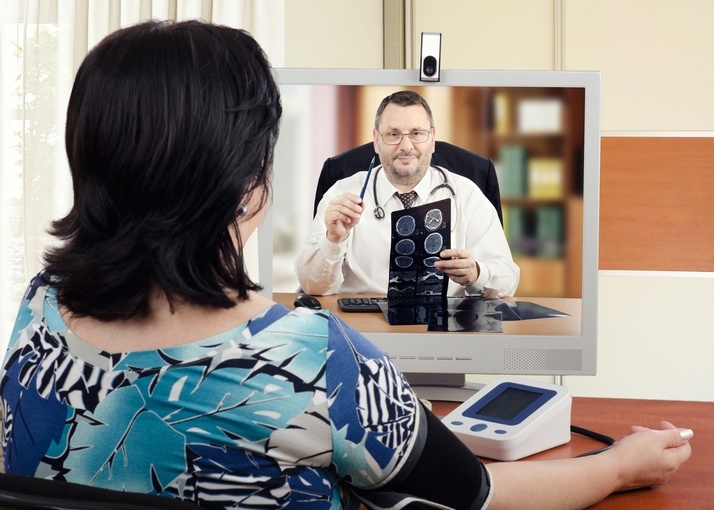 Telemedicine - When is Technology Too Much? As described by the American Telemedicine Association, telemedicine is the remote diagnosis and treatment of patients by means of telecommunications technology, in most cases, a mobile app that allows health care providers to treat patients remotely via video chat. The intention of telemedicine is a good one, expanding access to healthcare for patients who are in remote areas, offering a convenient alternative for someone who would not normally take time out of their busy schedule to seek treatment, and idealistically cut down on travel and expenses. However, at what point and cost is technology impeding our quality of healthcare? The other day, I was speaking to a patient on the phone. It was an introductory consultation, something I do quite often, to understand why this patient was seeking my services, describe my holistic practice, see if we are “on the same page” and explain how I can help. It was evident that this patient was at the end of his rope, having seen a plethora of physicians, specialists, and pharmacists, but to no avail; he was still experiencing his original symptoms and now many more. At this point I did urge this patient to come in so I could meet him in person, perform a physical examination, run through a series of tests, and order additional blood work. Very importantly, I needed the patient to see me in my office, face to face, in order to offer optimal care. Telemedicine, as I understand it, allows a patient to log into his/her mobile app, identify his/her symptoms, for example let us say it is a rash, and schedule an appointment with a health care provider at a time of his/her choosing. He/she also has an option to take pictures of the rash so the health care provider can visualize the rash during the appointment. After a quick round of questions, the provider can supposedly rule out something serious and order a prescription at the nearest pharmacy. From start to finish, the “virtual consultation” may be less than 15 minutes. When I think back to this example and consider what I would do if I had the opportunity to examine this patient in my office, I ask myself a few questions; Is the rash warm or cool to touch? Is the texture of the skin surface smooth or rough and scaly? Is the skin hard and swollen or normal in density? Does the patient have swollen lymph nodes? How is the rest of his exam? Is his skin normal and healthy otherwise or discolored and ill appearing? Is his pulse strong and regular or weak and irregular? What do his fingernails and eyes indicate? Does the patient appear healthy or chronically sick? My major concern with using a telemedicine approach is that the amount of information conveyed via a microphone, a camera, and an app is quite limited and vast amounts of clinical findings are not accessible. Furthermore, the app pushes the doctor to focus on just one thing, the patient’s main symptom, but is very poor at allowing the doctor to adequately assess the “big picture” and perhaps the CAUSE of the patient’s symptoms. It seems to me, that movement towards telemedicine is pushing to dilute the patient/doctor relationship to the point that there is virtually (pun intended) no relationship. Back in “the good old days”, doctors and their patients had a more intimate relationship. Doctors would care for patients and their families over years, even decades literally taking care of them from “cradle to grave”. This was before “managed care”, HMOs, PPOs, The Health Care Affordability Act (ObamaCare) and a long list of bureaucratic, “bean counting”, initiatives that promised to improve health care delivery and reduce costs, but in reality did just the opposite. I have been a practicing physician for over 30 years. Over this time, I have improved my craft of practicing medicine by observing and interacting with thousands of patients and their families. Unfortunately, when the interactions are more geared towards following protocol, “checking all the right boxes” for re-imbursement and medical-legal reasons, then the “art of medicine” is replaced by the “business of medicine”. Consequently, a “successful” medical practice is no longer measured by our success at teaching our patients to be healthy and to prosper, but rather in financial success. Doctors spend more time learning to “game the system” than understanding the root cause of disease and ill health. Telemedicine is one more step in the depersonalization of our healthcare system as it morphs into a disease care system. Instead of learning to treat patients, the telemedicine doctor of the future will become an expert in navigating and using various apps. That said, I appreciate the benefits of telemedicine in carefully selective situations. I do phone consultations with my patients to conveniently, rapidly assess specific clinical situations, but I also understand how limited these remote interactions are. I urge you to incorporate the convenience of telemedicine, but warn against relying too much on this depersonalized method. Any initial consultations should be followed up with face-to-face office visits. Any assessment of health status that would need a physical examination should be done in person. Conversely, reviewing laboratory test results is very appropriate for the telemedicine model. The art of physical examination is rapidly being lost. So much important information is available literally at our fingertips by careful, knowledgeable assessment of the human body, via our five senses and our gestalt assessments as well. Telemedicine can never replace this.